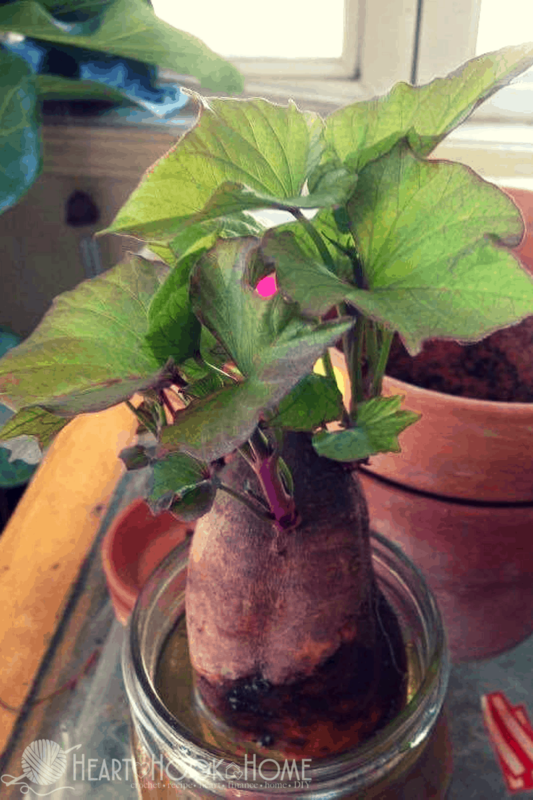 Did you know that you can grow an entire harvest of sweet potatoes from a single sweet potato? My friend Jamie does it every year and this year I’m right there with her. For optimal results, you’ll want to start this project with a single sweet potato – store-bought is fine! – around mid-March. Look at the size of that potato!! 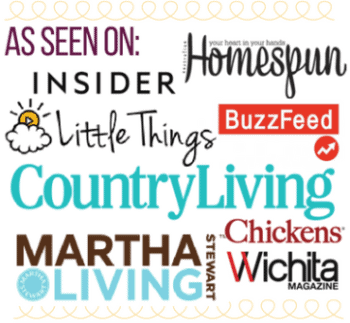 This process is so much easier than you might think. 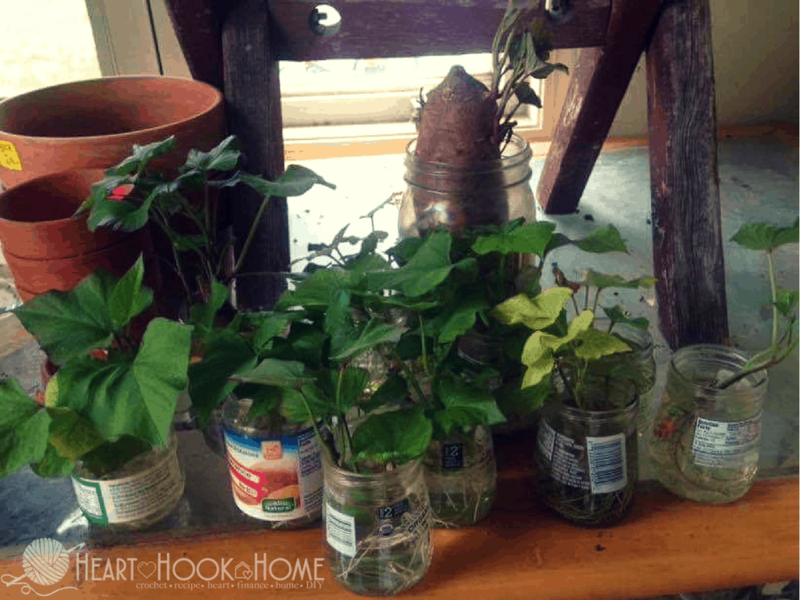 Have you ever grown new houseplants from clippings? That is exactly what you’re doing here, except with a sweet potato. Yep, sweet potato slips is all you need for an entire harvest of sweet potatoes. 1. Take a sweet potato and drop it in a glass of water around mid-March. Soon it will start to grow slips. 2. Watch for slips to start to grow as well as roots. Each of the potatoes should produce about 20 slips. Once the slips are approximately 3-4 inches long, twist them from the potato and drop them in water. Baby food jars work perfectly, or something similar would suffice as well. 3. Wait for those slips to grow roots and once those roots are established (as in photo) they are ready to plant. In Kansas we typically wait until around June 1st (or whenever the weather is consistently warm) to plant them outside. 4. When planting, space them about 3 feet from each other as they are a vine that spreads. Treat them like any other plant in your garden and water as necessary. 5. The vines will produce flowers in September shortly before harvest. Once the leaves start to turn yellow (typically September to October) they are ready to harvest. Note that it is best to dig them up if there is a chance of frost in the forecast. 6. Once harvested, let them cure for 10 days outside in a shady place. I put mine in an open air garage. Yes, 1 potato has produced all of these!! 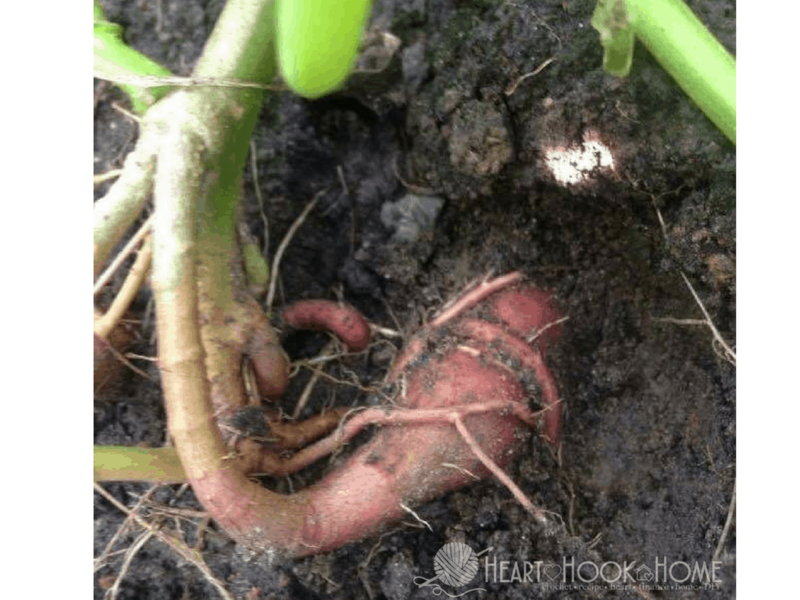 So, will you be harvesting your own sweet potatoes from a single sweet potato this year? 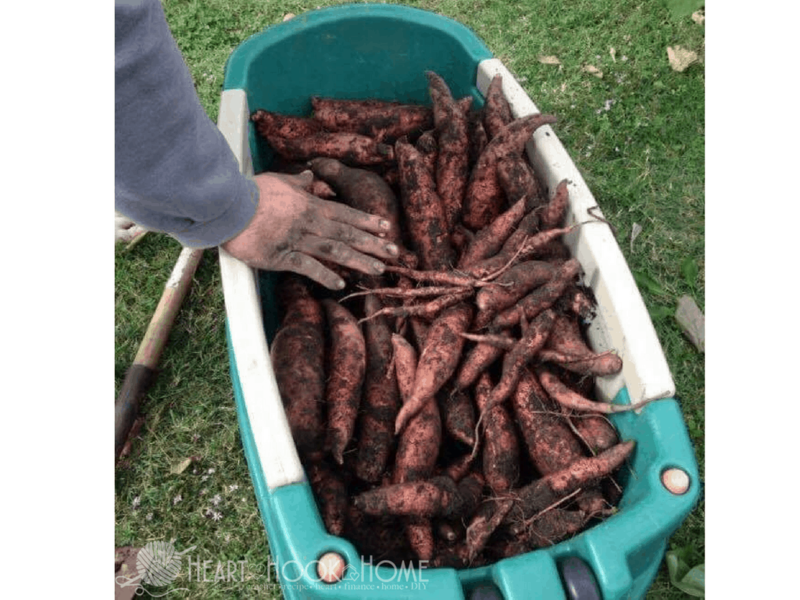 Growing sweet potatoes is so much easier than it seems, and it costs less than a buck to try, so why not? Hi, I live in Canada.we are in our fall time here. End lot October. Can I start this now?? If landed in a large container you should be able to bring the in the house to finish them off. I live in Prince George, so I am going to try some this year. I have lots of roots on my sweet potatoes but no green growing. Why??? Be sure to purchase organic sweet potatoes, as the regular ones are treated with a sprouting prohibitor. Put the sweet potato in a glass of water and it's rotting on me. Not sure that it's gonna give me any slips before I have to toss it. Il faut renouveler l'eau de trempage souvent. I just leave my sweet potatoes on the kitchen counter and the slips begun to grow. When the slips have roots, I just twist them off and put them in water. I notice the roots grow more. I will plant them now. 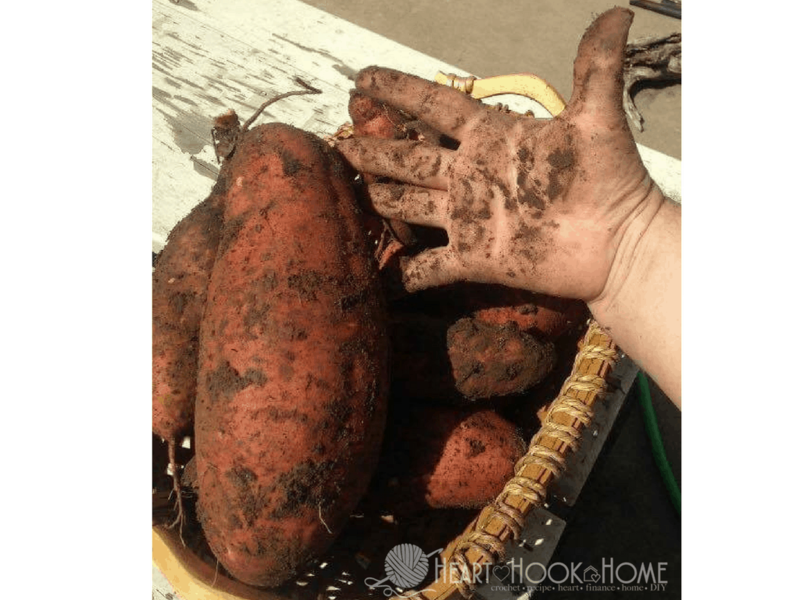 I still eat the sweet potatoes that had rooted slips. Nothing bad happened to me. Same thing with regular potatoes. I live in the Pacific Northwest so it looks like I saw this just in time! I’ll get my sweet potato in water tomorrow :) Do I just tear off the slip? I’ve seen other articles that say you have to cut the sweet potato into pieces...? I planted a whole potato last year and I had a lot of potatoes. The vines were all over the place but I only had potatoes under the original vine. I had at least 20 and some of them were huge. This year I will separate the slips so I can have more. The potatoes were delicious. How much water? Does the soil need drainage? What about amending the soil? Are they just not that picky? In shady areas, do they just grow slower? Hi, Great and informative Am in Nigeria-tropical climate, we are in rainy season with heavy rains that may end around end of September to middle of October and the dry season with sun will start. I have some sweet potatoes can I start the planting process now? Can sweet potatoes be grown in containers. Yes if needed. The roots do need plenty of room so be sure to space them out. I s 18 x 21 inches and I want to grow some sweet potatoes in them . I will try to plant some slips and see how it goes. I love sweet potatoes. how many should I try to put in it. Yes, actually I prefe to grow them in containers for easy harvesting. I have two sweet potatoes from the grocery store!! I let them sit on my counter for two weeks, and now they have slips all over them!! I'm going to plant them even though it's July!! Here in Central Oregon we have summer from about July 1st to late September!! It won't hurt to try anyway!! And there's always next year!! But after I remove the slips, can I still eat those sweet potatoes?? Hmmm not sure about eating those, but I don't see why you couldn't if they are still good! The taste and chemical composition of the sweet potato changes during sprouting and should not be eaten. Thanks for the idea. I'm SO EXCITED to be transplanting mine outside today!!!! Woohoo!!! We just did ours two days ago! Hi, one month ago i had the potatoes in water when it was big with leaves i planted on my garden it has lots of flowers, my question is since i plant the whole sweet potatoes do i will have potatoes?? Is it too late to start this in May/June? 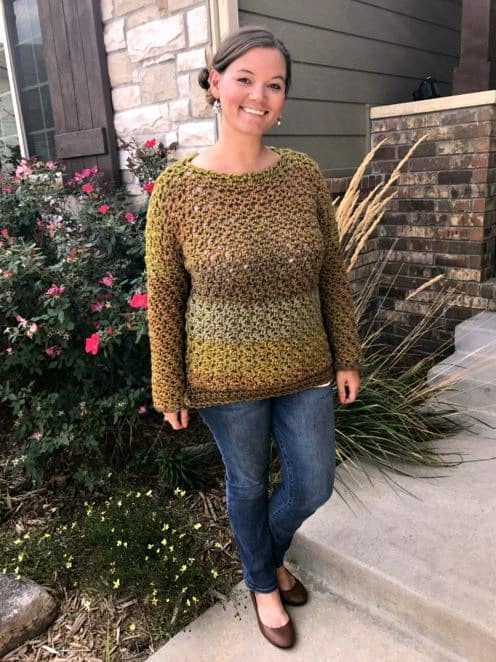 It is now Mid May is it too late to complete this? Can I plant in large containers? Yes, you can. I put 3 in a very large pot. Can they be planted in the shade or do they need full sun? Thank you! Hey! Indirect sunlight is fine. Let me know how they do! Do they grow like a regular potato so we have to fill them to bigger hill will make more ? Yes! Definitely keep me posted! IS THIS FOR REAL? IF JUST ONE POTATO PRODUCED ALL THOSE YOU WOULD HAVE TO HAVE MORE THAN ONE POTATO FOR ALL THOSE SLIPS. 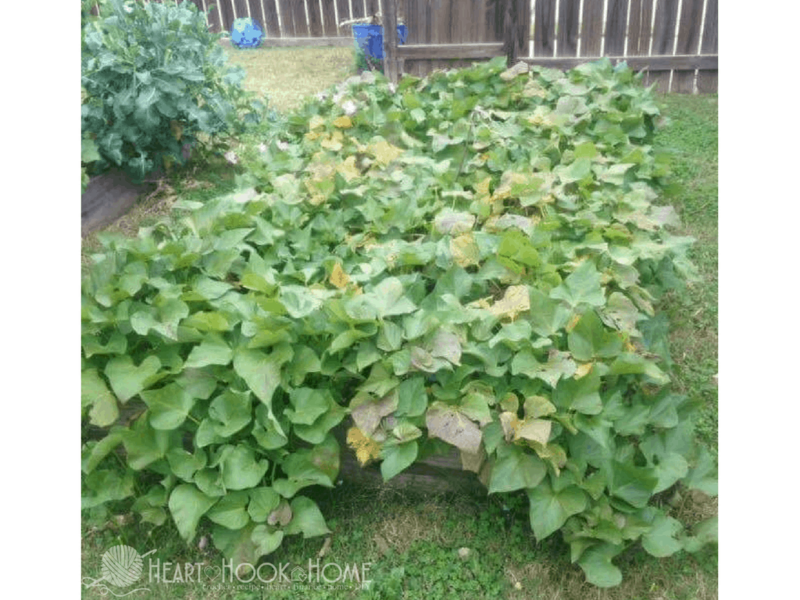 Each sweet potato will produce up to 20 slips. This is feasible from one potato. Haters gonna hate.